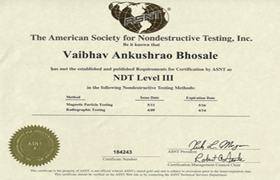 SV Tech is a leading independent Non Destructive Testing (NDT) and Materials Testing company offering a broad range of high quality technical services. The company serves many demanding industries such as aerospace, oil and gas, marine, power generation, motorsport, etc. throughout the India and abroad. 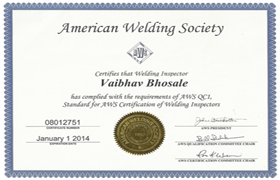 The company involved in Training, Third Party Inspection and providing Solutions in areas of Welding, Brazing, Soldering, Cutting, NDT & Paint coating related issues under one roof, In all over India & Abroad Also. 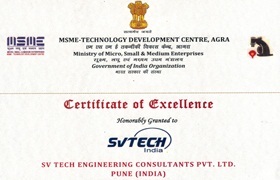 The training and consultancy solutions are based on our experience. 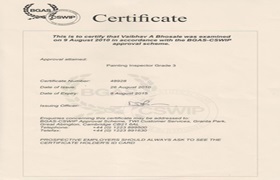 During this tenure, SVTE has interacted with thousands of welders, NDT Specialists, welding engineers and paint coating technologists all over the world. The Company progress grows day by day by the hard work of our efficient working team.